PTBN’s Extra Point – Episode #41: New Champions, Women’s Soccer, and a date for WAR! PTBN’s Extra Point – Episode #39: Tom Brady, Mayweather-Pacquiao and more! 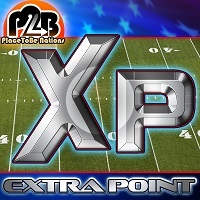 PTBN’s Extra Point – Episode #38: Biggest Sports Weekend in History! PTBN’s Extra Point – Episode #35: News & Notes, College Hoops, & and an UNINVITED GUEST!